Cardio Is Important For Weight Loss and Health, but How Much Should You Do in a Week? A well-rounded fitness routine includes both cardiovascular exercise and strength training. And while some people may adjust how much they are doing of each depending on their goals – more weightlifting if they want to build muscle and more cardio if they want to lose weight – doctors and trainers generally recommend a balance of both. But how much cardio should you aim to do each week? Not surprisingly, it depends on your goals; if you’re looking to lose weight, it will be more than just the standard recommendations for overall health. Either way, expect to do cardio at least a few times a week. As the name implies, cardiovascular, or aerobic, exercise is beneficial for your heart health. Exercise that gets your heart rate up and makes you sweaty has so many health benefits, including reduction in risk of heart disease and positive effects on blood lipid levels and blood cholesterol. For optimal health benefits, the American Heart Association recommends at least 150 minutes of moderate-intensity physical activity a week. That amounts to about 30 minutes of activity five times a week. If you prefer more vigorous exercise, the AHA recommends 75 minutes of vigorous exercise a week, which can be broken down to 25 minutes at least three days a week. If you are looking to lower your blood pressure or LDL cholesterol (“bad” cholesterol), the AHA says to do 40 minutes of moderate- to vigorous-intensity exercise three to four times a week. As always, it’s best to talk with your doctor to create a specific exercise plan for your needs and overall health, especially if you are managing a chronic condition. 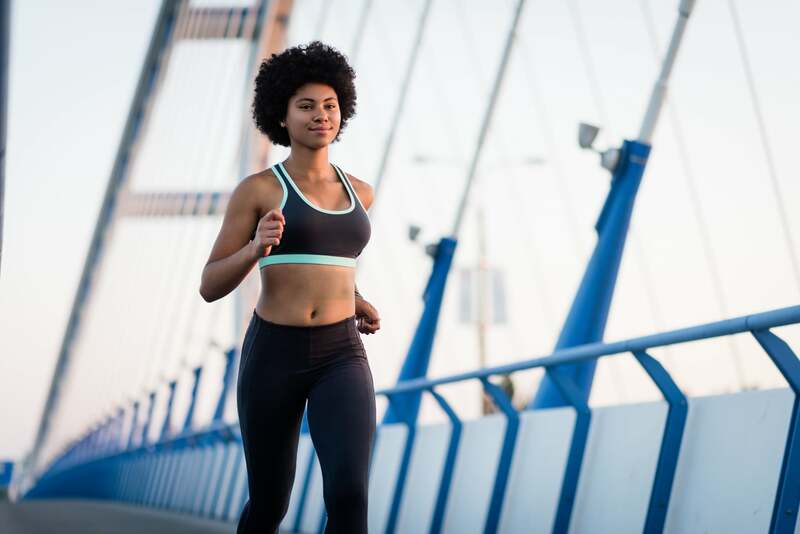 “For weight loss, cardio is king,” registered dietitian and personal trainer Jim White, RDN, ACSM, owner of Jim White Fitness and Nutrition Studios, told POPSUGAR, adding that the American College of Sports Medicine (ACSM) recommends 300 minutes of cardio training a week for weight loss. “I would recommend low to moderate continuous exercise,” he said. Three-hundred minutes is five hours a week, which sounds like a lot – who has time to exercise for an hour five days a week? But it doesn’t have to be vigorous HIIT training or intense Spin classes. Your cardio workout should be at least continuous cardio at a moderate level reaching 60 to 70 percent of your max heart rate. You can also break it up throughout the week; instead of an hour at a time, maybe you go for a walk for 30 minutes in the morning and ride your bike for 30 minutes in the evening.